Under the effect of solar radiation, trees will absorb water from the soil, heat-absorbing solar radiation and absorb carbon dioxide from the air to conduct continental shale and release of oxygen gas. very useful for human health and reducing air "greenhouse". So considering not planting trees on unused land, the air temperature in the lower daytime trees from 1-30C, oxygen content in the atmosphere is greater than 20% and less CO2. 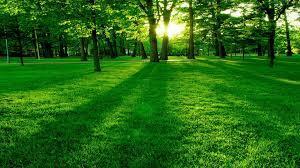 During continent of green chlorophyll absorbs solar radiation, absorbs the heat should have the effect of reducing the harshness of hot days, reduced reflection of solar radiation on the building, reducing the temperature does not Gas under the trees and can increase air humidity from 2% - 5%, increase air humidity is also beneficial for hot dry day. - Trees capable of storing rain water on the plant part, keep the spongy ground with tree roots penetrate the ground to help rainwater penetrates quickly into the ground, reducing flooding situation in the municipality. It is through this feature that in the midlands and mountainous, forest green harmonic effects of rainwater, reducing soil erosion, reduce flood overflow, flooding, flash flood kizi new. - When the wind blows through the trees air, dust content in the air will be the leaves retain most, make the air cleaner. Increasingly dense trees, leaves more rugged than the dirt easier grip. When the leaves were dusty, rain will wash the leaves and the leaves will keep dust adsorption cycle. The total amount of dust is hang on one tree with large leaves, thick could reach between 10-30kg. The concentration of dust in the air blowing through the trees can be reduced from 20-60%. - Trees absorb potentially harmful contaminants in water and in soil, especially to absorb and hold permanent storage of heavy metals, such as lead, arsenic, mercury .. . in the tissues of green packaging, in the trunk, branches and roots of trees capable Due absorb pollutants, so now they have used a number of plant species in line processing system sewage, and is studying to use some plants to treat contaminated soil, absorb heavy metals, soil quality restoration, including the absorption of dioxin in the soil dora.